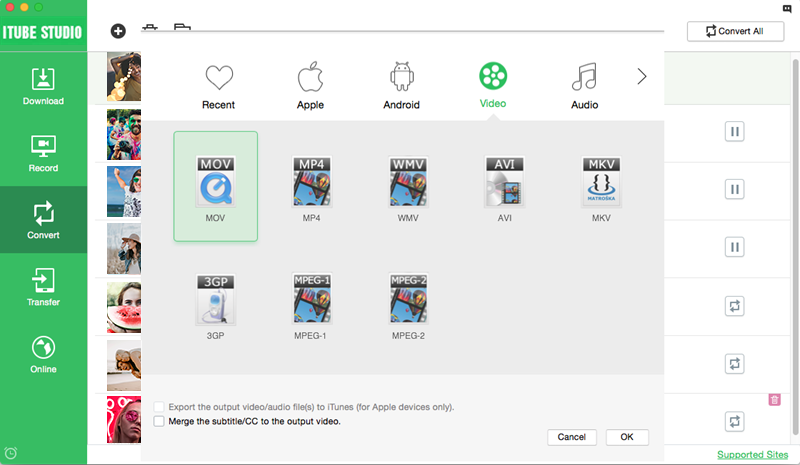 iTube Studio for Mac also works as a video converter. You can convert the downloaded videos and your desktop videos to other formats. 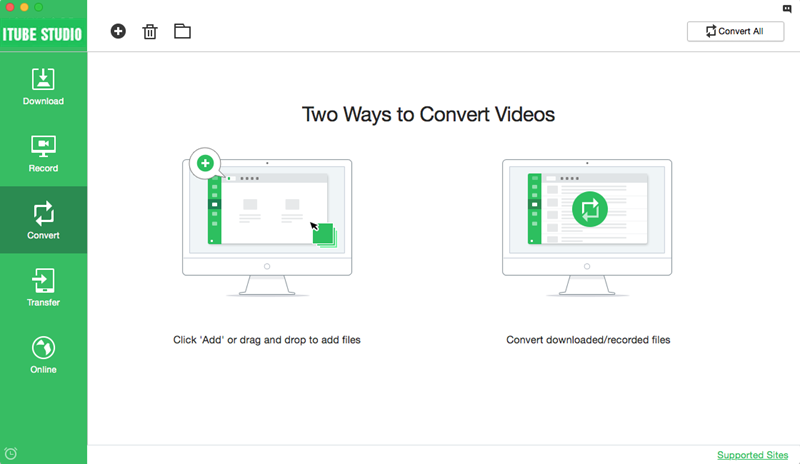 In the “Convert” tab on the left side of the iTube Studio window, you will see that you can convert downloaded/recorded videos and your local desktop videos. Now follow the below steps to convert videos to other formats. 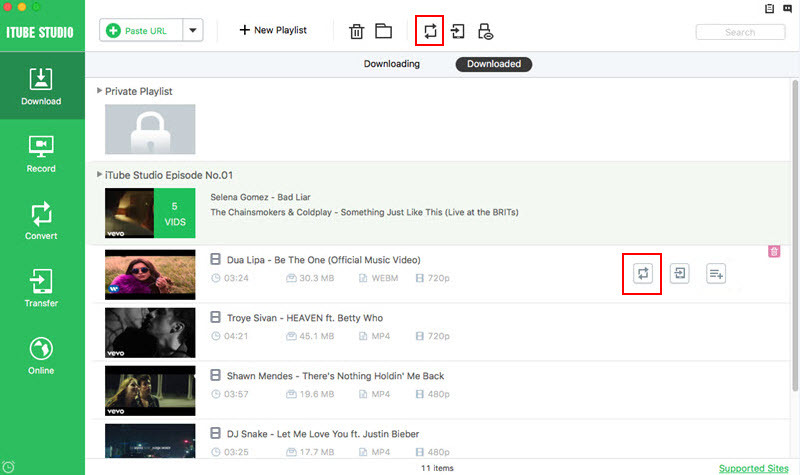 To convert downloaded and recorded videos, you can check the video list in "Download" and "Record" tab. On the right side of the video list, you will see a "Add to Convert List" ion. You can click the icon to add the video to the "Convert" tab for video format conversion. To convert local videos, you can click the "+" button on the uper left corner in the "Convert" tab. And select the videos from your local folder to import them to the program. In the "Convert" tab, click on the “Convert” or "Convert All" button, and you will get a pop-up window with output format options. 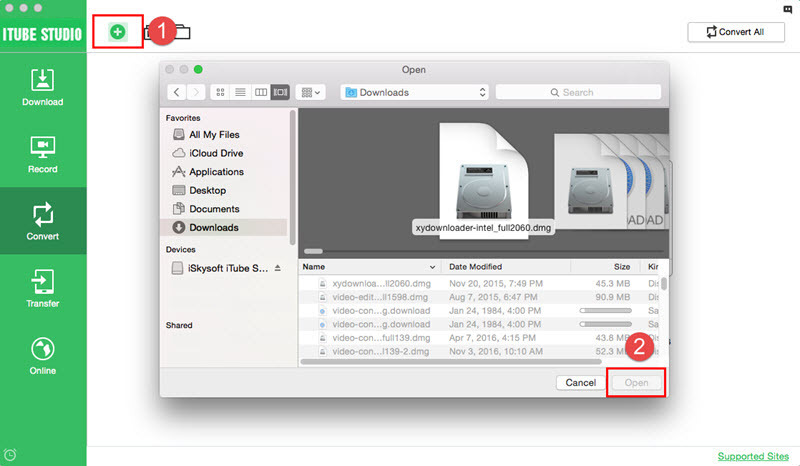 To convert videos to other video formats, you can click on the “Video” tab and select the output video format. You can convert video to video format like MP4, AVI, WMV, MOV, etc. After you have selected the output format, you can click “OK” to start the conversion. When the conversion is finished, you will get the video in the new format. And you will get new video details.